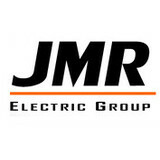 James J. Galvin Electric is a family owned and run business who has been in Newton, MA for over thirty years. Each customer receives one-on-one attention from one of our staff or the project manager that will be in charge of your project. At each step of the project, we will make sure that you are completely satisfied with the work that is being performed at your home or commercial project. J.J Galvin Electrical maintains a consistently high level of professional care and responsibility with each project. We guarantee all of our work to be of the highest quality, as we know our clients would expect nothing less. We understand that in some situations we are invited into your home to do work and we do not take that responsibility lightly. Your home will always be treated with the respect as if it were our own. What do licensed Watertown electricians do? An electrical contractor plans, installs and repairs wiring in structures. He or she works closely with the home’s general contractor or remodeling contractor to determine the specific electrical needs for the project and to ensure that the wiring will meet Watertown, MA building codes. An electrical contractor’s job also includes installing and repairing fixtures, switches and other visible components of electrical systems. With today’s technological needs and advances, many electricians in Watertown, MA also are trained to install fiber optic and coaxial cables for electronic equipment. Certain electrical companies may design and install data systems and wire for security features such as alarms too. Some Watertown electrical contractors specialize in specific areas, such as HVAC, low-voltage appliances and systems and more, so be sure to ask about their training to see if it fits your project needs. 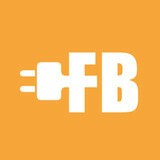 Find a certified Watertown electrician on Houzz. 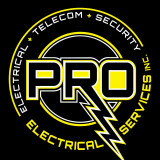 Narrow your search in the Professionals section of the website to Watertown, MA electrical contractors. Here are some related professionals and vendors to complement the work of electricians: Lighting Showrooms & Sales, General Contractors, Solar Energy Contractors, Heating & Cooling Sales & Repair.